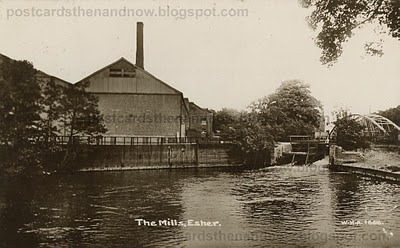 A history of Esher Mills can be found on the Esher District Local History Society's website - click this link and scroll down to 'Monograph No. 8 : August 1980 - An Account of Royal Mills Esher by G.B. Greenwood'. Some more information can be found here.